Avidemux video editor released version 2.7.2 today with new demuxers / encoders, bug-fixes, and various other changes. Native AviSynth demuxer (MSVC++ 64 bits Windows builds only)! Other enhancements, and many bug-fixes. right-click and go to file Properties -> Permissions -> allow executing file as program. right-click and select run the Appimage. Avidemux is also available as flatpak, see the Flathub page for more details. There’s also an unofficial PPA contains the latest 2.7.2 packages for Ubuntu 16.04, Ubuntu 18.04, Ubuntu 18.10, and higher. And remove the PPA via Software & Updates utility under ‘Other Software’ tab. 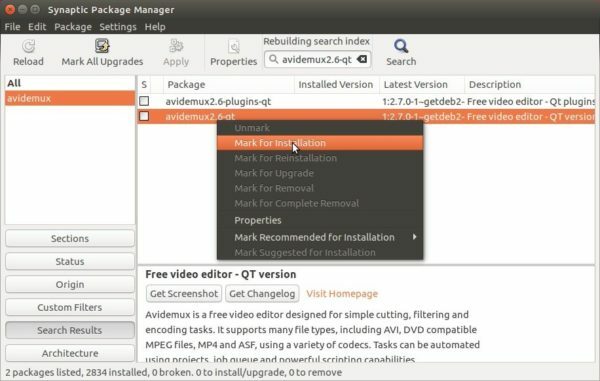 The latest Avidemux video editor 2.7.1 now can be installed in Ubuntu 18.10 easily via PPA (unofficial) repository. 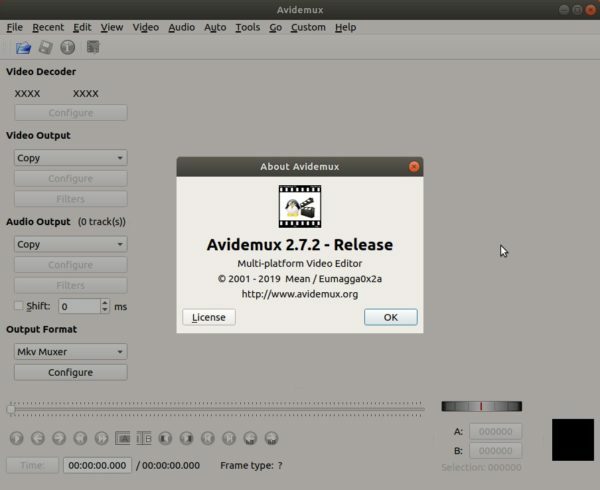 The new package name has been renamed to avidemux2.7, thanks to Thanh Tung Nguyen. Unfortunately, I can’t build the VapourSynth plugin at the moment due to lack of time (I’m new to computer languages, and one small issue can take me a few hours to solve). For Ubuntu 16.04, run sudo apt update to refresh cache first. To remove the PPA, launch Software & Updates and navigate to Other Software tab. Avidemux video editor 2.7.1 was released a few days ago with new encoder support and various improvements. Here’s how to install it in Ubuntu 18.04, Ubuntu 17.10, Ubuntu 16.04. For Ubuntu 16.04, Ubuntu 17.10, Ubuntu 18.04, you can install the new Avidemux packages via the unofficial PPA. Sorry that the package names are still avidemux2.6 due to lack of time and my poor language skill. To remove the PPA, launch ‘Software & Updates’ utility and navigate to ‘Other Software’ tab. The latest packages for Avidemux video editor 2.7.0 is available in GetDeb.net. However, the GetDeb repository is not updated for a few months, and there’s no packages for Ubuntu 17.10. For those who don’t prefer the official Appimage (non-install) binary, I’ve uploaded Avidemux 2.7.0 packages into launchpad PPA (unofficial) to make it available for Ubuntu 17.10, Ubuntu 18.04. It also contains packages for Ubuntu 16.04, and Ubuntu 17.04. UPDATE 201805: Rebuilt Ubuntu 18.04 packages due to updated system library. The plugin package now can be installed without dependencies issue. It’s avidemux 2.7 though it contains ‘2.6’ in its name. Avidemux video editor reached the new 2.7 series a few days ago. Now you can install it in Ubuntu 16.04 and/or Ubuntu 17.04 via GetDeb repository, though there’s already an appimage available. For the release highlights and appimage, a single executable file (non-install), see this page. It’s Avidemux 2.7 though getdeb still uses the old 2.6 package naming system.